A study released by NPD and commissioned by the Cable & Telecommunications Association for Marketing (CTAM) shows that movies still rank as the consumer favourite in the 3DTV viewing experience, with 93 per cent of 3DTV owners reporting they had watched 3D movies at home. This unsurprising finding is in line with 2010 findings, where 77 per cent of consumers perceived 3DTV viewing to be better suited to special events, such as movies or sporting events. The report further indicates that 87 per cent of current 3DTV set owners say they are satisfied with the quality of their 3D picture and 60 per cent report their TVs are worth the price. In addition to high levels of satisfaction, the research shows a shift in attitude about the 3D glasses, described by many in 2010 as a “hassle”. Today 47 percent of 3DTV set owners say they’re satisfied with having to wear the glasses and 55 per cent are satisfied with the fit of the glasses. When looking at 3DTV owners vs. HDTV owners, the research shows overall satisfaction with the clarity of the picture is similar, as 87 per cent of 3DTV owners are satisfied with the 3D picture and 94 per cent of HDTV owners are satisfied with their HD picture. However, the study does show there is a need for more content. 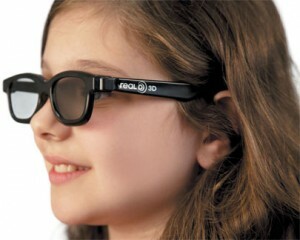 Only 40 per cent of 3DTV owners are satisfied with the amount of 3D programming available.